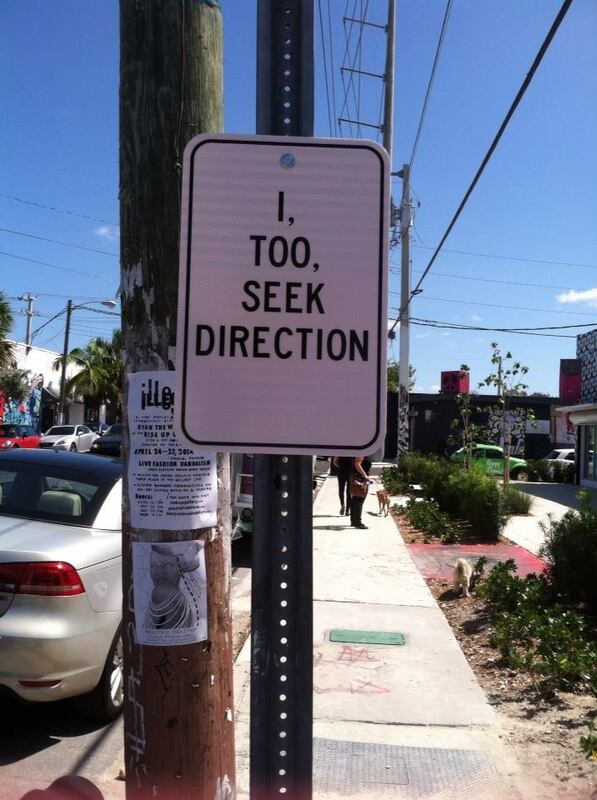 This poetry traffic sign probably lasted about 2 seconds in front of Panther Coffee in Wynwood. People ask, “Do you think the authorities take them down or people that just like and want them?” Gee whiz, just a block or so north a group of, pranksters stole one of Ron English’s camouflaged painted steel deers. (Yeah, no respect, man.) Yeah, I think someone liked it and took it. No doubt, if it had been welded to the post, it would have slowed them down (a little), but this sign, and any sign in Wynwood, certainly would have been totally covered with stickers.